With the recent acquisition of Ksplice by Oracle - I got to discover a really cool tool for Linux. Ksplice allows you to apply updates to a live running kernel without the need for rebooting your machine. Yeah right! That was my initial reaction too. But thanks to some really smart guys from MIT Ksplice does just that. No need to reboot your linux kernel after an upgrade. Sounds too good to be true? Well the proof is in the pudding they say (I like the potato kind :) Well check out the video below to see how easy it is to setup and use Ksplice. For a quick overview of Ksplice check out the FAQ. If you want more details as to the inner workings read the whitepaper. 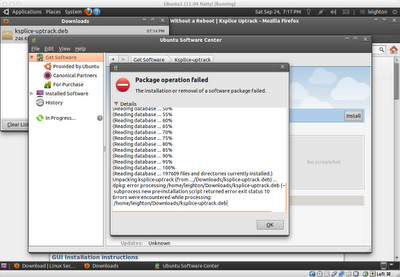 Ksplice is available on Oracle Linux via subscription through ULN. However it is free for Ubuntu Desktop and Fedora. This means that if you're running Red Hat Enterprise Linux or any other enterprise Linux flavor you're out of luck. Oracle Database 11g XE has been in beta for several months now. On September 2, the production release was made available for Windows 32-bit and Linux 64-bit platforms. 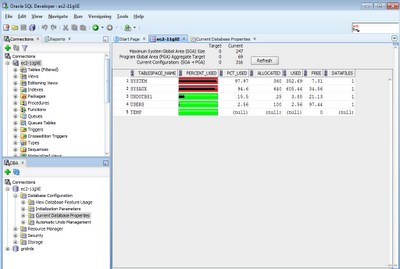 This lightweight version of the juggernaut database of world is geared towards students, developer and ISVs. You can find the full feature list here. Having played around with the beta version I decided it was time to take a stab at deploying it in the cloud - more specifically Amazon AWS EC2. I started off by selecting the Oracle Linux 5.6 x86_64 - OVM (ami-42778a2b) to launch a micro-instance of Oracle Linux. The micro-instance has 613MB of physical memory, 2GB swap and 15GB EBS storage. Once you download the installation archive from OTN and save it to your computer, you'll have to transfer it to your EC2 instance.